When I read that Mufin MusicFinder was able to find new music based on the songs I like, I downloaded it immediately. I was willing to test a program with the ability to recommend new singers and bands that follow the same music style I like. I thought this was just a cool technology! However, I was disappointed when I saw that this function is, according to the program's message, temporarily unavailable. The comparison tool does work with your own MP3 library, meaning that you can create playlists that follow a certain style or mood based on a song you select. But the online mode doesn't work and I found that very disappointing. 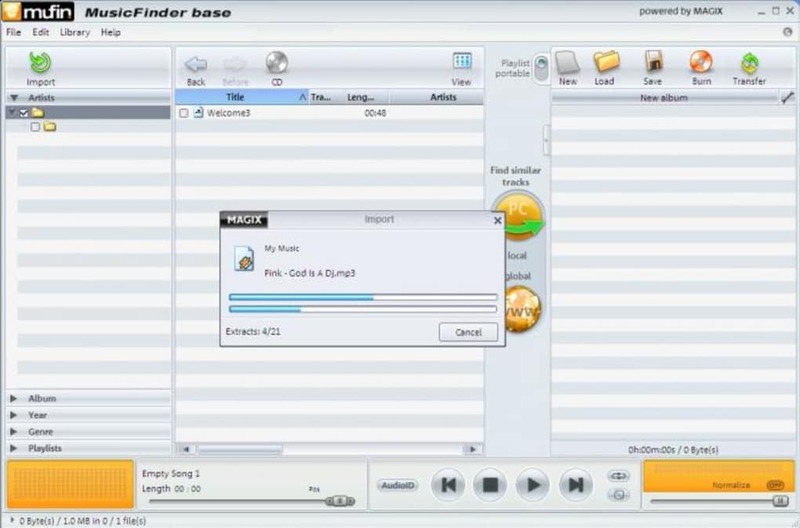 On the upside, Mufin MusicFinder works as a great music manager, where you can browse your collection by artist, album or genre, create playlists to copy to your portable devices and record on CD or DVD, and enjoy your favourite music with a handy, basic built-in media player. 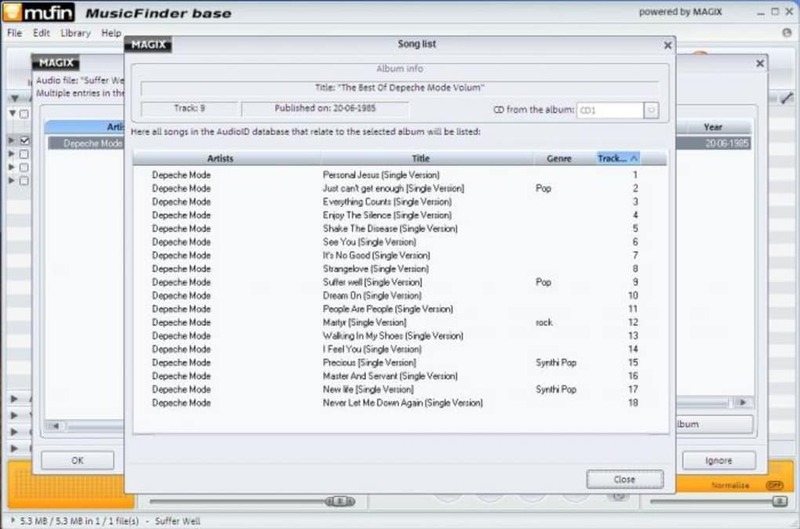 Manage your music collection and create mood-based playlists with Mufin MusicFinder. Mufin MusicFinder Base from MAGIX is the first MP3 Manager in the world that knows what you want to listen to before you do! Mufin analyzes the song's sound and creates an entire collection with a click – for songs that perfectly match the track: Experience the music on your hard disk, on your MP3 player, or on the Internet in a new way every day. With Mufin MusicFinder Base you can finally enjoy your music wherever you go and discover new music on a daily basis at the same time! Bask in a comfort revolution that injects life into your music archive and makes tedious searching and managing of folders a thing of the past. 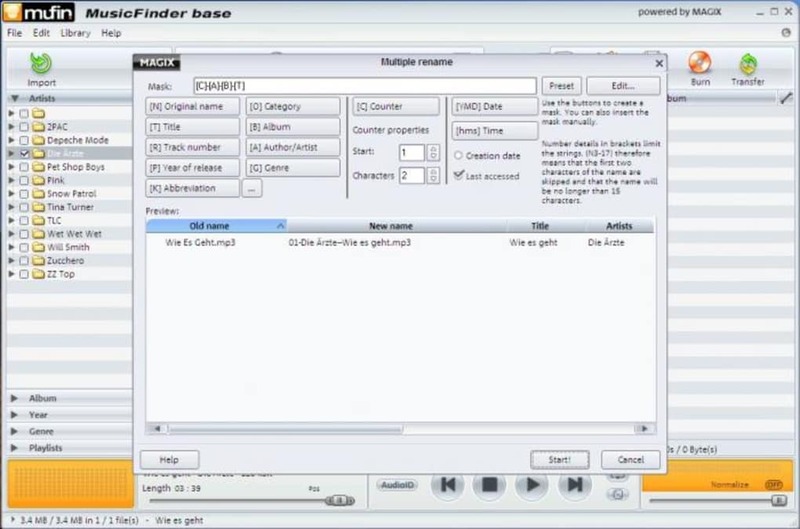 Mufin MusicFinder Base is intelligent and innovative. An MP3 Manager that makes you wonder how you could ever have done without it. What do you think about Mufin MusicFinder? Do you recommend it? Why?